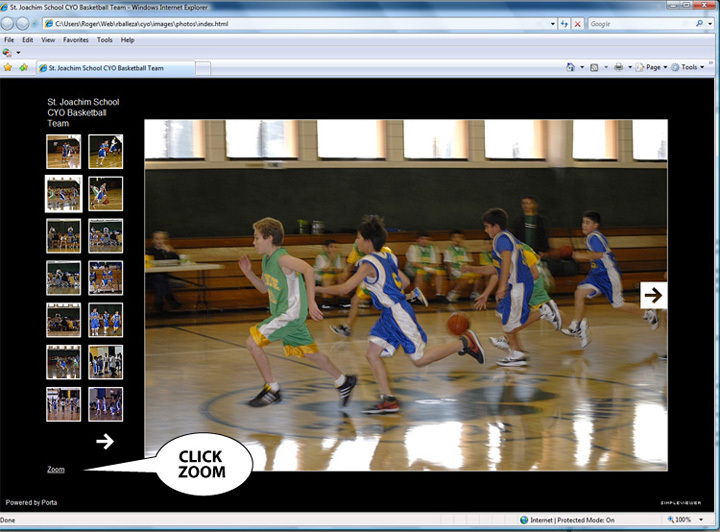 Click the underlined Zoom link to open the displayed photo in a new window. If you can't see the Zoom link press the F11 key on your keyboard to toggle between full screen and reduced screen display. A new window pops open of your chosen photo. Right-button-mouse-click on top of the image to invoke a pop-up menu. 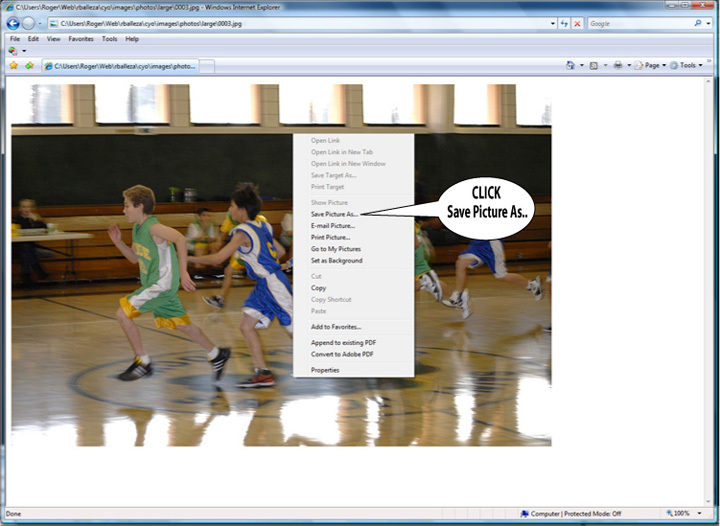 Choose the Click Save Picture As... option on the menu to open another window asking you where on your PC's hardrive you want to save the photo. 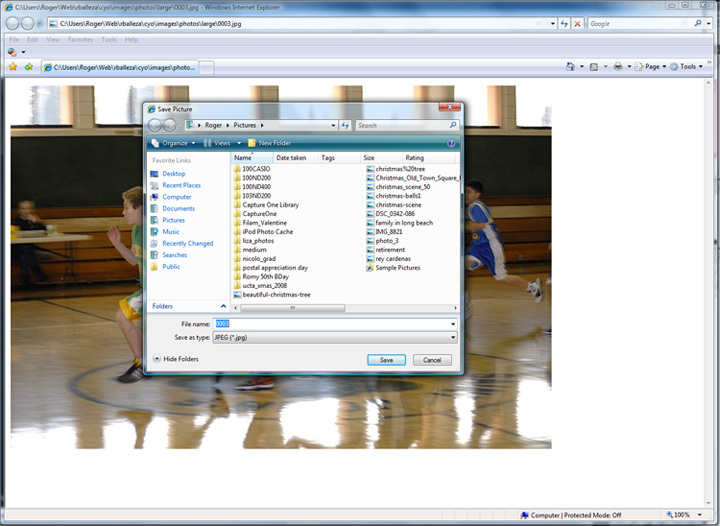 The default location for photos to be saved is usually the Pictures Folder or the Desktop. You can choose to rename the photo image file at this point or accept it's default file name which is 003 in this example.